Move in ready condo located off Congress Street right in the heart of everything. 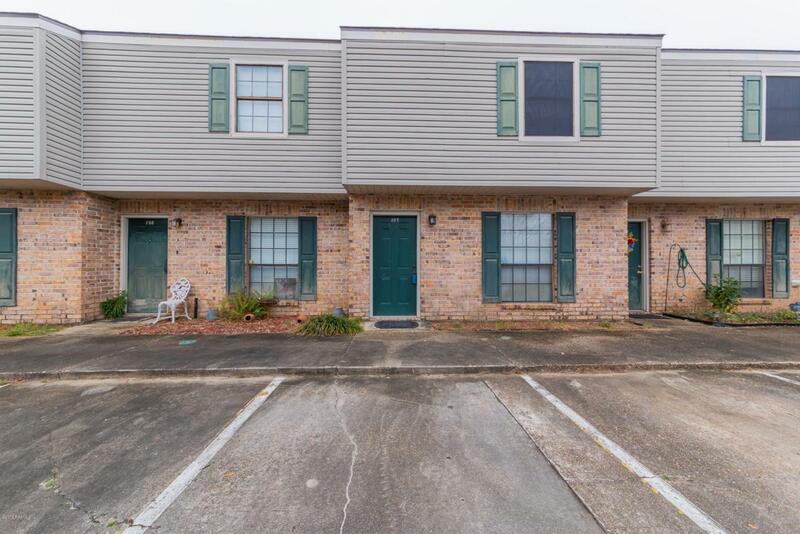 This condo has been updated with a roof 3 years old, dishwasher, microwave, all new lighting, electric panel box, and laminate wood floor throughout about 1 year old. The downstairs features living, dining, 1/2 bathroom, and kitchen with laundry closet. The upstairs has 2 nice sized bedrooms with a walk-in closet in the master bedroom. The backyard features a covered patio with green space. There are two designated parking spots out front and lots of extra parking for your guest.